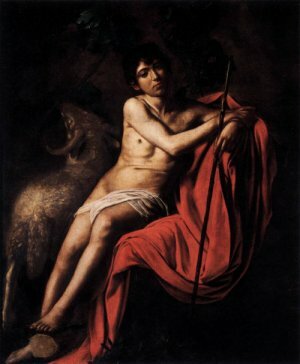 Matthew chapter three descibes John's appearance in the wilderness: 'And the same John had his raiment of camel's hair, and a leathern girdle about his loins; and his meat was locusts and wild honey.' (v. 4) It does not, however, tells us how and when he got there. Apocryphal accounts suggest he was very young: seven, according to Serapion, twelve, according to Origen. 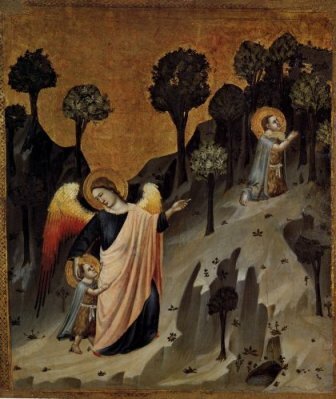 The painting by The Master of John the Baptist on the left below shows the seven year old John being ushered into the desert by an Angel, with an older John above. The panel on the right by Giovanni di Paolo has a similar theme, though without the angel. By the time Caravaggio started on his paintings, John had aged a little more. 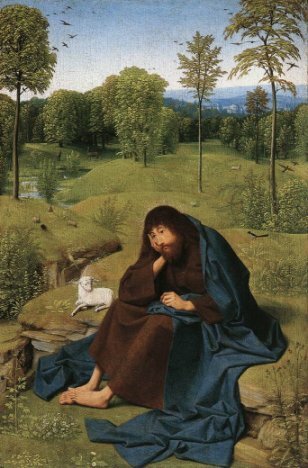 John the Baptist as an adult. 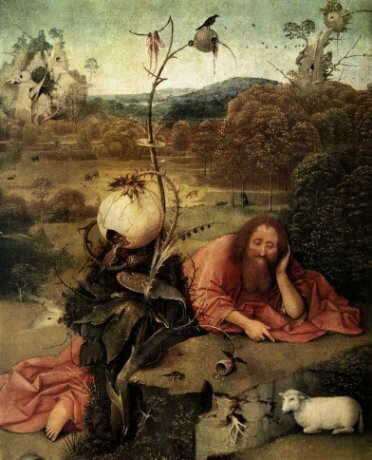 Both paintings include John's familiar attribute, the Lamb of God. 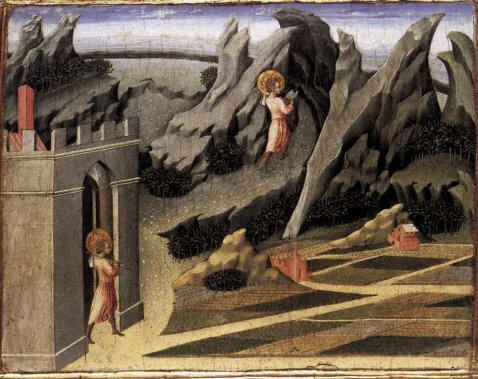 John's preaching and acts of baptism took place near the river Jordan, which is to the north-east of Jerusalem. His birth town of Ein Karem is just to the west of Jerusalem, in a more fertile area. 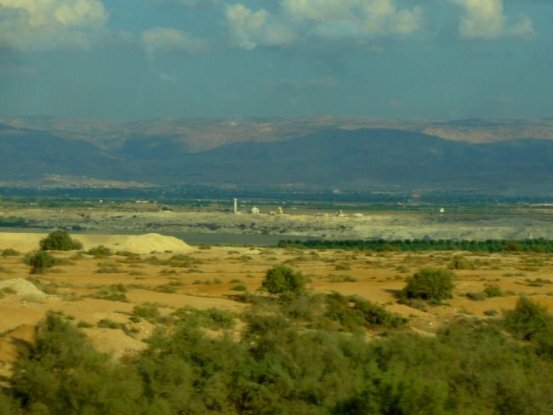 It is interesting to compare the paintings by Bosch and Geertgen with the landscape in the area of the Jordan now: this is my photograph from 2015. A wilderness indeed.